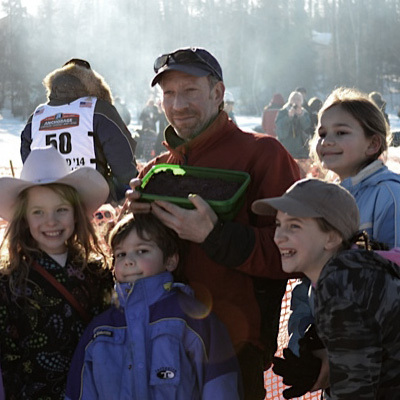 Steve Rubinstein is the Director of APU’s Graduate Program in Outdoor and Environmental Education. He received his M.S. in Experiential Education from Minnesota State University, a B.S. in Psychology from Guilford College and a Certificate of Outdoor Leadership from Seljord Fork College. Steve has extensive experience in the field teaching and directing programs since 1987, including his work as Faculty and Program Director in Outdoor Education at MT Hood Community College in Oregon, Program Director at Northwest Earth Institute and Education Coordinator & Asst. Director at Northwest Service Academy. Sophia May is the Program Coordinator for the Kellogg F.I.E.L.D. School. She received her M.S. in Natural Science Education from the University of Wyoming, a certificate in Place-Based Teaching and Environmental Science Practices from the Graduate Program of Teton Science Schools, and a B.S. in Peace Studies from the College of Saint Benedict. 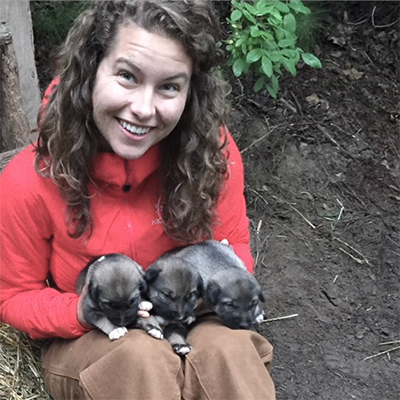 Born and raised near Fairbanks, Sophia is a passionate educator, a lively outdoor enthusiast, and can imagine no classroom better than Alaska. 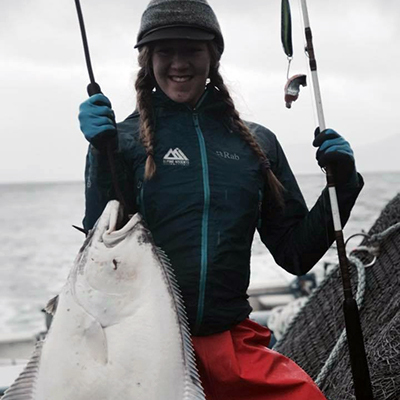 Lynda Jones is a graduate student at Alaska Pacific University in the Master of Science in Outdoor Environmental Education program. Lynda has a Bachelor’s of Science in Biology from the University of Alaska Southeast and has worked with children in almost all parts of Alaska from Juneau to Dillingham. Lynda has worked with the Alaska Dept. of Fish and Game, Wrangell St. Elias National Park and Preserve, and most recently with the Girl Scouts of Alaska teaching outdoor education. She enjoys connecting youth with the natural environment around them. When she is not at school or teaching, Lynda enjoys XC Skiing, hiking, fishing, backpacking and climbing. She is excited to be back at FIELD School teaching Magpies and NNN! 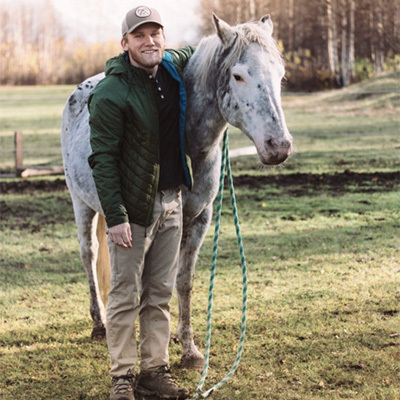 Luke Hyce was raised in Alaska and spent his childhood hiking, gardening, riding horses and running around the Mat-Su Valley’s forests. He moved to Fort Collins, Colorado where he earned a B.A. in Journalism and Media Communication with a minor in interdisciplinary environmental affairs from Colorado State University and improved his outdoor leadership skills in the Rocky Mountains. Since graduating Luke has lead students in 11 different countries on trips that focused on culture, agriculture, and ecosystems health. Because of his strong bond with the place that raised him, Luke moved back to Alaska to pursue a career and place-based education to provide experiences that promote self-leadership and environmental awareness. His list of free-time activities is long but includes skiing, backpacking, guitar strumming, and photography. Erin Pollock was born and raised in south central Alaska, where she learned to feel at home in thick birch woods and rugged alpine mountains. 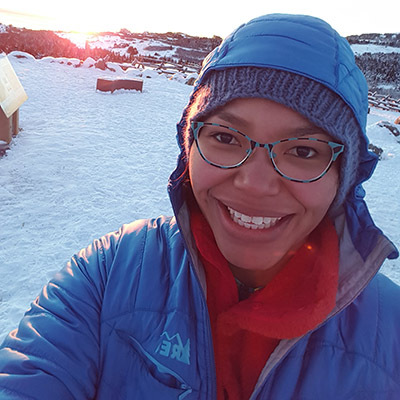 She decided to turn her love of the mountains into a career and earned a bachelors degree in Outdoor Studies from Alaska Pacific University focusing on mountaineering, snow science, technical rope rescue, risk management, and outdoor leadership. She has spent the last ten years guiding various styles of mountaineering internationally. However, she came to realize that her most rewarding work did not come from “summitting” with adult climbers. Rather, it occurred when working with children; teaching them how to be safe, comfortable, competent, and most of all, happy, in the outdoors. Thus, Erin left the guiding world to pursue her masters degree in Outdoor Environmental Education, while simultaneously earning a K-8 Teaching Certification. When Erin is not studying for class or lesson planning for F.I.E.L.D School she enjoys making stained glass, split-boarding, watching 80’s era VHS’s with her fiance, Fletcher, and building her home from local, natural and recycled materials.